Since it is already kind of late and I am so exhausted from working 9 hours and doing a huge program for the kiddos, today’s post is going to be short. I already have a Phineas and Ferb t-shirt (which I wear all the time!) but I have discovered several other clothing items that I would love to have. I love this shirt, because no one would really know that it is from a sign that was featured in “Lawn Gnome Beach Party of Terror” unless they were scary obsessed like me. I also love this shirt because it features fat baby Perry!! One thing that makes me sad when searching for P&F clothes, is that they all seem to be for boys. What’s up with that?? I bet tons of little girls love the show too and want to own a sweet pair of Perry pajamas. Maybe I am just not looking hard enough, but I was a little disappointed in Disney for not including the ladies in their marketing plans. Tonight there is a new episode of Phineas and Ferb on the Disney Channel! Yippee!! It is called “Phineas’ Birthday Clip-o-Rama.” So, in other words, it’s a clip show. Some people really hate clip shows. They see it as a way to repackage old stuff and try to pass it off as a new episode. I tend to be a glass-is-half-full type of gal when it comes to clip shows. I like to think of it as a way to revisit some of my favorite moments from a show all at once without having to juggle a million dvds. So in honor of Phineas’ Birthday Clip Show, here a few of my favorite clip shows off the top of my head. *SNL Best of Clip Shows–I am not a big fan of watching entire episodes of Saturday Night Live. First of all, because live television scares me and makes me too nervous to watch (I’m so scared they will mess up!). Also, because the sketches are usually so hit and miss. But when I sit down and watch a “Best of…” clip show and I am always guaranteed genuine laughs. My favorites would have to be Will Ferrell, Chris Farley, and Jimmy Fallon (cuz he’s so pretty). *The Carol Burnett Show–They used to show these on tv every once in a while, and I would watch them and roll on the floor with laughter. I have never watched an actual episode of The Carol Burnett Show, but the clip shows combining all the best stuff are amazing! Carol Burnett as Scarlett O’Hara! Tim Conway making Harvey Korman laugh! The original Mama’s Family! All priceless. *Friends: The One With the Invitation–This is the clip show that aired right before Ross and Emily’s wedding. It shows every great Ross and Rachel moment from the first four seasons of the show. For Ross and Rachel fans, this is the perfect way to see their whole relationship play out over twenty-some minutes. *Seinfeld: The Chronicle–The clip show that aired right before the last episode of Seinfeld is the best clip show I have ever seen. I LOVE the fact that they still show it in syndication, so I get to catch it every once in a while. This hour-long episode has the perfect mixture of clips, musical montages, and bloopers. Seinfeld is not my favorite show, actually it doesn’t even crack the top ten, but I could watch this episode over and over. The ending montage set to “Good Riddance” by Green Day makes me a little teary each time I see it. I think it is that picture of Julia Louis-Dreyfus at 0:51 looking so distraught that gets me. So, are you a fan of clip shows, or do you roll your eyes in disgust when your favorite show tries to pull a fast one on you? P.S. I refuse to acknowledge that it is April Fool’s Day, since as a very gullible person, it is my least favorite day of the year. 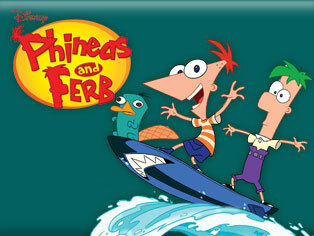 I Want Phineas and Ferb To Be My Little Brothers! Phineas and Ferb is my new favorite can’t-miss-it tv show. It has been on the Disney Channel (which is my the channel I watch more than any other) for a few years now, but I have always ignored it. I think it was because it was an animated show, so it did not fit in with the other Disney Channel shows. Also, I felt like it was ALWAYS on tv, so I would be flipping through the channels hoping to find Hannah Montana or an awesome DCOM and I would think, “Man! Phineas and Ferb is on again!! Blerg! !” Now, I curse myself for ever thinking that. 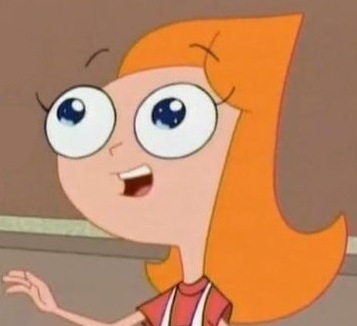 Let me state this for all of you who don’t know it: “PHINEAS AND FERB IS AMAZING!” It is hilarious and it gets even funnier with every episode that you see because there are so many in-jokes and references to previous episodes. The basic premise of every episode (which are each about 11 minutes long) is Phineas and Ferb build some outrageously awesome invention in their backyard. Their sister Candace spends all her time trying to “bust them.” In other words, she tries to get their mom to realize what they are up to. 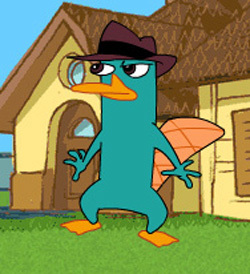 While all this is going on, their pet platypus Perry (who is a secret agent) goes off and tries to stop Dr. Doofenschmirtz from carrying out his evil plans. My favorite characters are Ferb (who almost never speaks, but when he does it is Thomas Sangster doing the voice who was the little boy in Love Actually!! ), Perry the Platypus (who has the best facial expressions EVER–trust me, he does), the Mom (how she puts up with Candace I will never know! ), and Baljeet (I’m a huge groupie of The Baljeatles). So if you’ve never given this show a chance, you should at least check out a few episodes. Right now it seems to be on from 8-10 in the morning central time so you could watch it while you get ready for work. I know I’m not the only adult who loves this show (I have an inkling that over half the fan base is parents who watch it with their kids), so don’t be embarrassed. P.S. 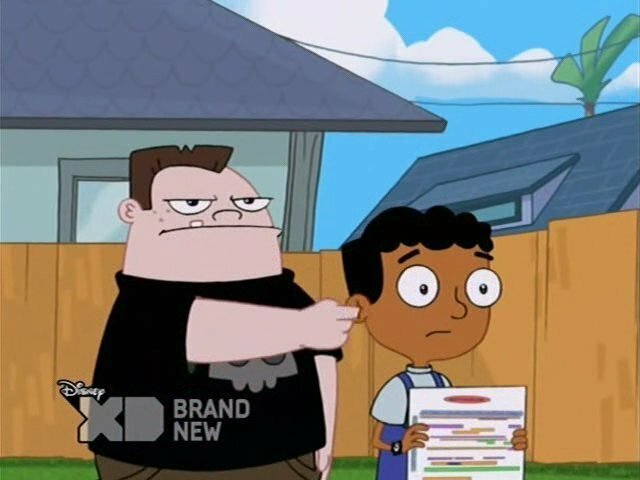 One of my favorite things about this show is that Ferb has a crush on Dr. Doofenschmirtz’z daughter Vanessa who is played by Olivia Olson who was Joanna in Love Actually. That means the two little kids who were in love in that movie are crushing on each other again in this show!!! !